It's been a funny ol' day here at the Tannery. Lots of silly not the norm little things going on that needed seeing to such as a goat with a bucket stuck on her head and a limping cat *sigh*. Still, I should be very grateful that nothing was serious, and indeed I am. My morning was spent tootling around with the children. After all of the animal chores were completed, we read together, sat and did a few puzzles, researched World War 1, looked at life in ancient Egypt, and watched a documentary on the solar system. That took us to just after lunchtime and so we ate and chatted about what to do for the afternoon. Art (yay!) was requested, as was Jewellery making and wii playing. Whilst everyone else unleashed their creative spirit, I had a bit of play with mine. 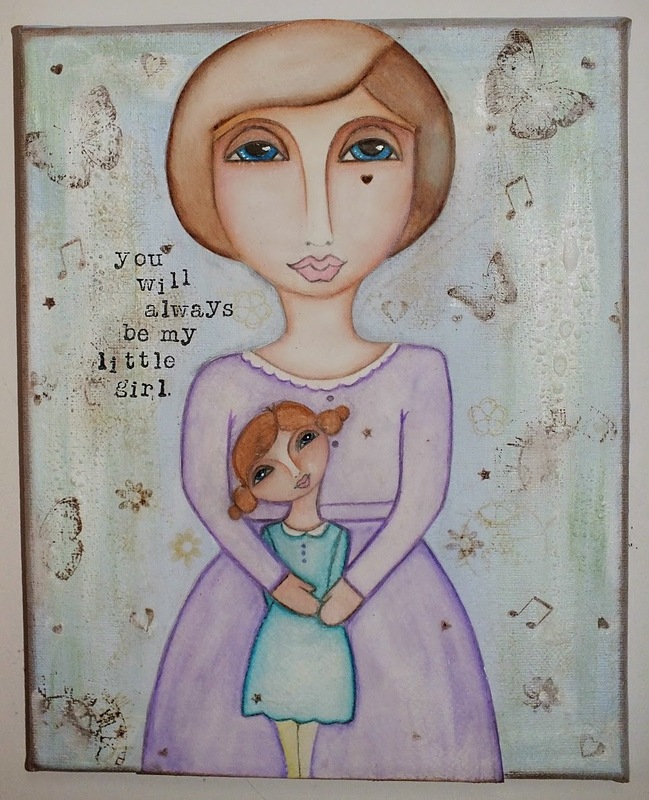 With Mother's Day coming up I was reminded of what I repeatedly say to my 3 year old daughter Taisia. 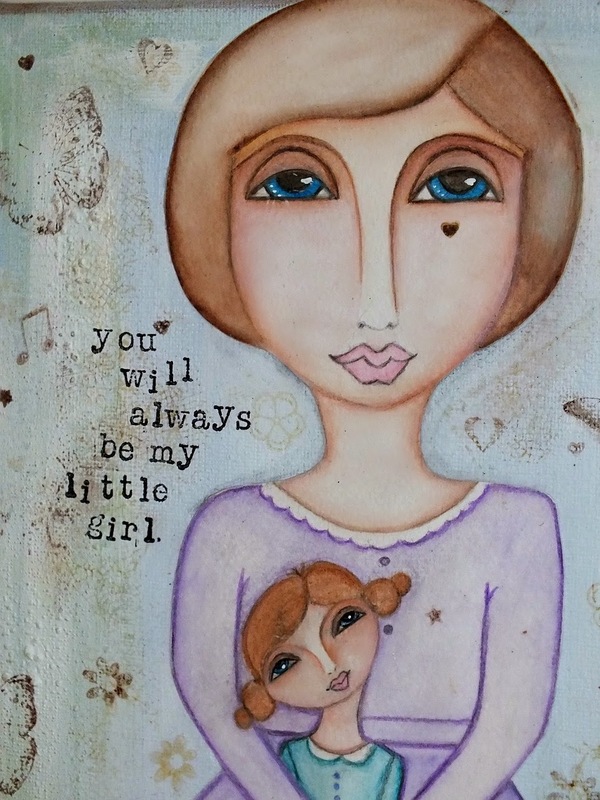 "You will always be my little girl." When expecting our 6th (and final!) baby, I was very conscious of how life would change for Taisia. She was very much used to being centre of attention and and she was the one I was a little worried about regarding adapting to having a younger sibling. As it happens, I needn't have worried at all. Taisia adores her baby sister Amara, and loves playing the role of big helpful sister. Whenever I hold her close and say 'my baby', she replies with an almost disgruntled 'I'm a big girl! She is growing fast and she changes seemingly daily, but she will always be my little girl. I say the exact same thing to Chelsea, my eldest daughter. She is 18 but will always be my little girl. It's a mama thing.